A new breed of partner is emerging across the Australian channel. 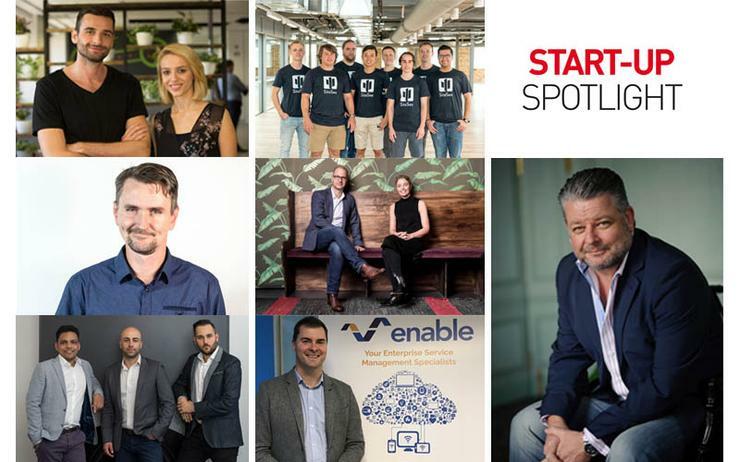 ARN uncovers emerging start-ups using smart technologies to change the face of the channel in Australia. Jessie Mitchell and Blair Cooke came up through the Salesforce ranks, so it makes sense that the two should go into business together as co-founders of Salesforce integration partner, Amicus Digital. Mitchell and Cooke joined Salesforce as part of the company’s acquisition of ExactTarget in 2013 and the subsequent launch of the Salesforce Marketing Cloud. Cooke was the vice president of sales for Australia and New Zealand and Mitchell was one of his sales directors. At the time, according to the co-founders, Salesforce wanted to foster an ecosystem of partners to support its growth plans in Australia, providing an opportunity to create a business that helped marketers understand and use the technology they were buying. In 2015, the pair created Amicus Digital together, with the aim of building a business that would be a “friend” to its customers. To achieve this, the business would help them, coach them, and make the process of buying and using technical software easier for organisations to adopt and use. Broadly speaking, the company specialises in undertaking implementations for organisations coming to Salesforce Marketing Cloud for the first time. 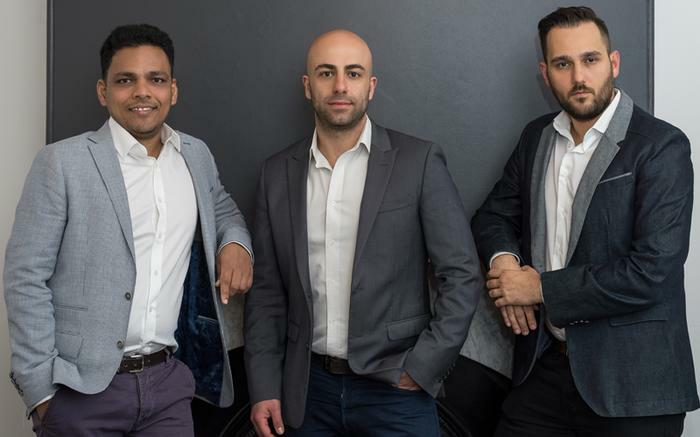 “We also undertake audits for existing customers to review how accounts have been configured, how data is being used and making sure they are set up in the best way possible,” the founders said. 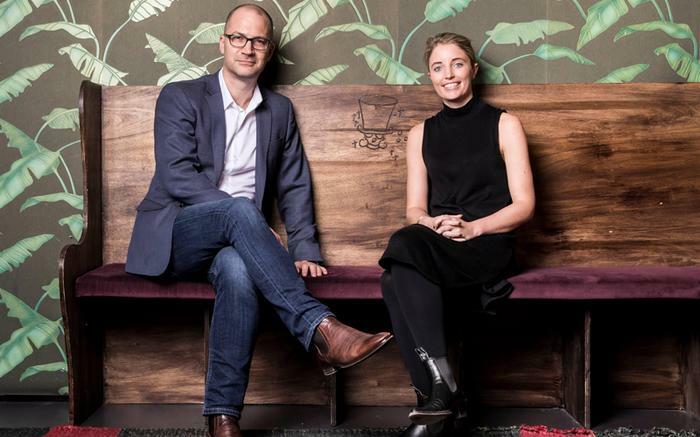 The company more than doubled in size last year, growing to become the largest independent Salesforce Marketing Cloud specialist in Australia, with 25 staff. According to Mitchell and Cooke, many of the company’s team have come from Salesforce or have worked within the ecosystem for several years. Amicus Digital’s evidently highly experienced team even helped to see the company placed in Salesforce’s top 10 partners in the Asia Pacific region in 2017. 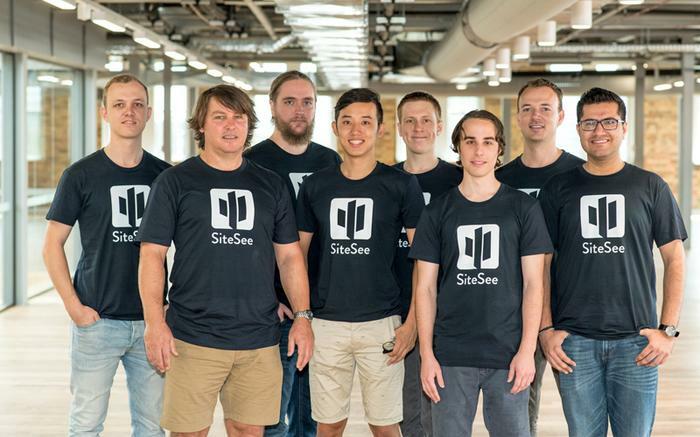 In June, the Federal Government announced it had awarded Brisbane-based start-up, SiteSee, a cool $112,500, as part of its Accelerating Commercialisation funding commitment. The idea behind the cash injection was to give the company a hand in further developing its web-accessible SaaS offering aimed at enabling wireless telecommunication tower owners to better monitor critical infrastructure. The government wasn’t the only one to see some promise in the tech start-up, with Telstra’s muru-D accelerator program accepting the company into its program in late 2016. While the muru-D move helped to give the company its start, its origins occurred much earlier. SiteSee CEO David Crane spent years working as a network engineer for the likes of Telstra, Ericsson and Telis. According to his brother, SiteSee co- founder and director Lachlan Crane, David spent this time rolling out networks and helping to identify the pain points involved, particularly around electromagnetic energy design. “But there were a lot of project bottlenecks, a lot of manual processes,” Lachlan said. This is where the business grew from because according to Lachlan, David wondered if there was a better way. And with the rise of drone technology and innovative 3D software, there was. The result is SiteSee. Thanks to the employment of unmanned aerial vehicles (UAVs) – otherwise known as drones — and the development of the company’s 3D viewer software, SiteSee can give wireless network tower owners the ability to remotely visualise and analyse critical infrastructure within an interactive real- world environment. This is where AWS and Microsoft Azure come in. The company’s proprietary software offering is run on both, with processing and hosting tasks shared between the two platforms. The flexibility offered by the platforms lets the company spin up and run the data- heavy processing tasks its software requires to analyse the information it pulls from the drones when they check out a tower. Bluedot Innovation received funding from the Federal Government as part of its entrepreneurs’ program. The company was handed $200,000 for the commercialisation of its Bluedot Point software development kit (SDK) with mobile commerce platforms and marketing clouds. Specialising in high accuracy location services technology for mobile apps, its proprietary technology is delivered via its SDK and, once it is integrated, it can enable mobile applications to trigger any action when users cross a thin virtual “tripwire”. The platform’s point of difference, according to co-founder and executive director, Filip Eldic, is that it is far more accurate than comparable geofencing technology from Apple or Google, and it doesn’t require any hardware. While the technology itself has been developed internally, Bluedot has partnered on an integration basis with a host of vendors, including Oracle, IBM and Salesforce. And there are more to come. “To date, we have launched integrations with the Salesforce Marketing Cloud and Urban Airship, which enable our customers to trigger marketing/engagement actions such as push notifications, email, SMS, or collect and store data about customer behaviour when they reach accurate locations, as detected by our technology,” Eldic explained. According to Eldic, Bluedot was founded with the idea of building the world’s first mobile tolling app, where an app would automatically pay for the use of toll roads or toll bridges as well as other transport costs, from a phone that could remain locked, in your pocket. In June, it was revealed that Brontech had received $124,960 in co-funding from the Federal Government to help progress and commercialise its platform, which is based on Ethereum blockchain technology. Earlier in the year, the company was one of eight start-ups inducted into Telstra’s muru-D accelerator program. Clearly, Brontech has something worth investing in. But what is it, exactly? 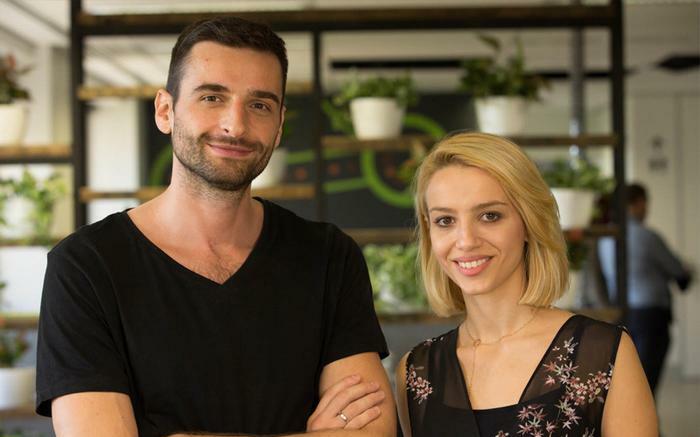 “We provide a platform where users can connect several different accounts, help them extract their personal information and place it on an open marketplace,” Brontech co-founder Emma Poposka said. The company is doing this by leveraging Ethereum blockchain technology together with distributed data storage to build a decentralised architecture for the information exchange that sits at the core of the platform’s purpose. “The platform also has a native digital currency called The Bron that is managed on Ethereum,” Poposka explained. At the time of writing, the platform was in its public alpha stage. Now, Brontech is in the process of building out its data marketplace back-end and is testing its application programming interface (API) with several corporate partners. While the platform is still in its infancy, the commercial ramifications of the technology are compelling, as is the reasoning behind its creation. “The founding team has witnessed the consequences from the fall of centralised systems that created a strong reasoning for them to passionately work towards ensuring the decentralisation of the internet,” Poposka said.